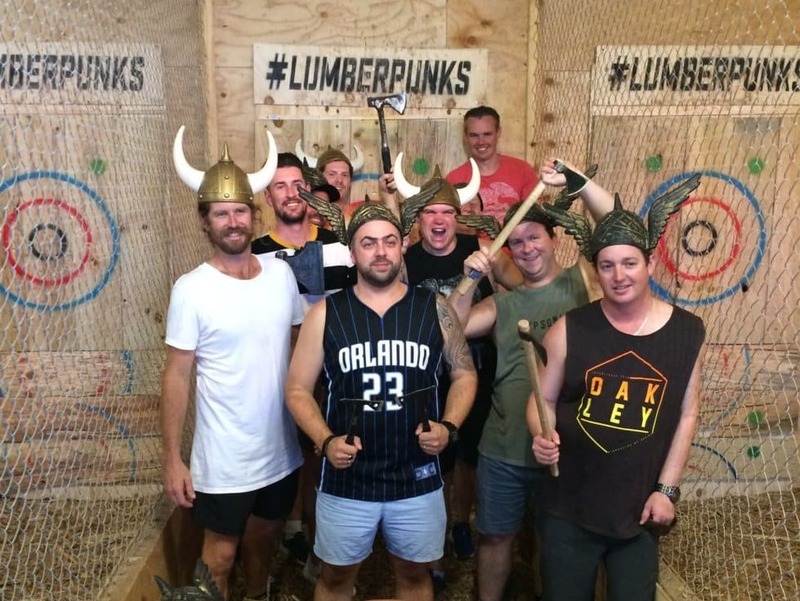 Come with us on the best Brisbane brewery tour there is. Visit award-winning independent craft breweries at some of Brisbane’s trendiest suburbs, get treated to a behind-the-scenes guided tour of at least one brewery, chat with the people that produce this liquid gold and even enjoy some history with your beer education. The boutique beers in Brisbane have never tasted better, as demonstrated by the many awards individual beers and breweries have won. Get behind the best of Australia on tour with us! This Brissie brews tour is great if you don’t feel like extended drives and want to stay in the city. Perfect for beer-loving visitors to Brisbane to help get their bearings, or to refresh the memory if you haven’t visited in a while! Looking to explore further afield and counting on us to drive? Check out our Western Explorer or Southern Sessions itineraries! After your pick up, we will begin the day with beer tasting at the original Newstead Brewing Co (Doggett Street) where we treat you to a paddle including some from the core range, plus maybe a few seasonal releases or one-off beers. Your guide will awaken your senses as they take you through the main beer ingredients, add some witty, historical commentary, and enlist a brilliant Newstead team member to walk you through the brewery and explain the complete brewing process. Like what you’ve tasted? Grab a couple of mixed six-packs or purchase a growler to fill and refill with your favourite beers from Newstead Brewing Co.
A short jaunt around the corner brings us to Green Beacon Brewing Co, voted 2018’s Champion Medium Australian Brewery, where their nautical theme carries through the various craft beers on offer. With seasonal releases throughout the year and a refreshing core range, Green Beacon encompasses the community spirit brought back to Australia after worldly travels. Situated in the shadow of the iconic XXXX brewery, Aether believes beer is the elusive 5th element. Here we will settle down for a delicious lunch accompanied by a tasting paddle or schooner of cold beer. If owners Dave or Jimmy are around, they’ll likely pull up a stool, steal a few chips and have a chin-wag about their inspiration and history. Please note that our lunch venue is subject to change based on brewery events, traffic, dietary needs, etc. Other options for lunch stops include Soapbox Beer or Sea Legs Brewing. Our fourth and final venue of the day is always changing. Depending on the group, the traffic, scheduled events and how everyone is feeling, we might stick close and visit a city venue like Semi-Pro or Sea Legs, or maybe we’ll head north to All Inn, east to Bacchus Brewing or south to Helios, Ballistic or Slipstream. We love sharing the love, so join us as we explore what’s out there! Please note that if you have a specific brewery in mind that you’d love to visit, we will be more than happy to try and accommodate your request, just leave a note at the time of booking. At the end of the tour we will drop you off back where we started, or – if you prefer – a partner pub or restaurant if you’re looking to keep going. Where a location is indicated, we will pick up you outside the venue so please keep an eye out for our van – you can’t miss it! The Gresham (308 Queen Street, Brisbane) is an historic pub in central Brisbane. From Central Station, exit toward Ann Street. Past the ANZAC Memorial and through Post Office Square, next to the NAB bank, you’ll find The Gresham tucked away. Alternatively you can exit toward Edward Street, head down the hill and turn left onto Queen Street. Walk about 1/2 block and The Gresham will be next to the NAB on your left. Please note The Gresham does not open until 4pm on Saturdays and is closed on Sundays; we will still pick up here and there are plenty of places in Post Office Square to get a coffee and/or breakfast. Daily Planet Cafe (228 Wickham St, Fortitude Valley) is a very short wallk from the Fortitude Valley Station – come out, hang a left and turn right at the Elephant Hotel (Wickham St) and DPC is on your right. If you hit the Night Owl, you’ve gone too far. Daily Planet Cafe is a comic-book-inspired cafe that serves scenestr coffee and offers guests a 10% discount on their drink purchases when they show their tour confirmation for that day. Bonus! We are flexible with our drop-off locations within the city based on guests’ needs and requests. Included in the price: transportation in our private, air-conditioned van, guided brewery tour with explanation of the brewing process, all beer samples at the breweries we visit, lunch, beer education and history, water & snacks, and witty commentary (well, we think it is). Please note: itinerary subject to change based on traffic, closures, new openings, events or spur-of-the-moment decisions, however we will ensure you receive everything listed above. A very super special Best of Brisbane brewery tour is operating on Thursday, 19 September! Visit Soapbox, Fonzie Abbott, Sea Legs and Bacchus Brewing. Click here to join us! Not finding the tour you want on the date you need? Check our Tour Calendar to see which tour is currently running on what date. Or feel free to give us a call – we might have created a special tour for the day that we can get you on, or we may be sold out. But you’ll never know unless you ask. We’re always happy to help and check availability for you.